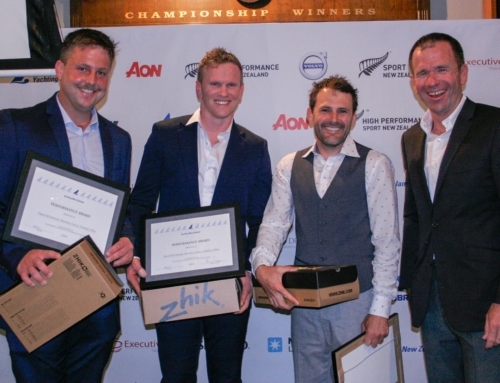 The forecast of 15-25 knots delivered and a nine strong fleet of 18′ Skiffs hit the Auckland Harbour for two races. 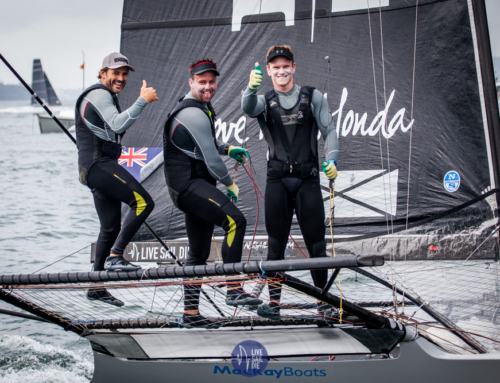 Three Australian boats, and one Aussie sailing a Kiwi boat have made the journey from Sydney including ASKO who placed third at the JJ Giltinan earlier this year. Unfortunately for them their juju wasn’t the best and after a capsize resulting in the rig securing itself to the seabed, suffered minor damage and were forced out of the line up on day one. “It was a tough day in the City of Sails,” said ASKO Mainsheet hand Paul “Monty” Montague. 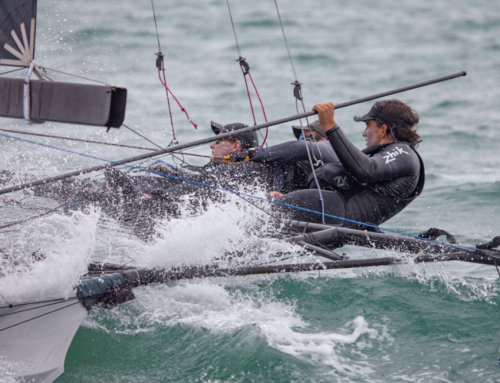 World Champion sailors, who hold all three major trophies for the class, the European Championship, Mark Foy Championship and JJ Giltinan Trophy, were unstoppable on their home waters. 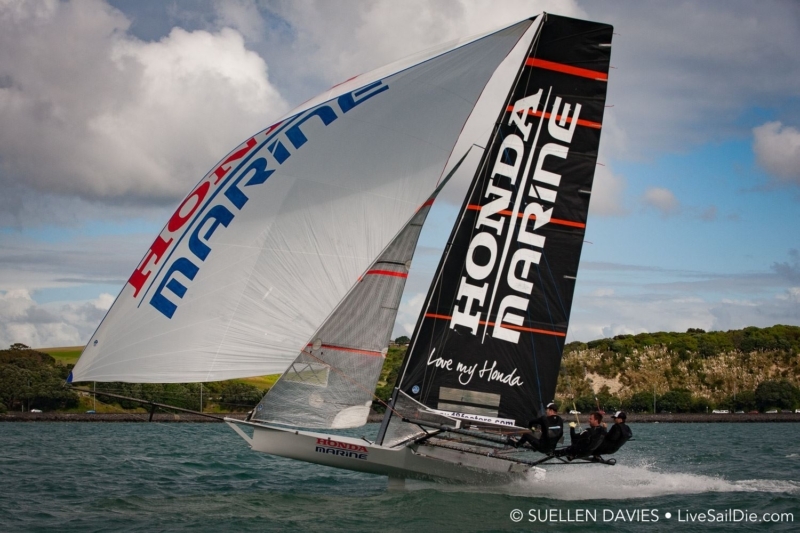 Honda Marine won both races of the day with C-Tech taking now sitting second overall and Yandoo, skippered by John “Woody” Winning in third on countback. Racing continues today with up to three races scheduled.